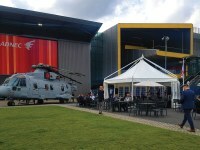 Events / Our professional marquees at the DSEI Show in London. Headquartered in Excel from 12 to 15 September, the Defense and Security Equipment Internationa (DSEI) is the largest international exhibition on the subject of defense, held every two years in London. 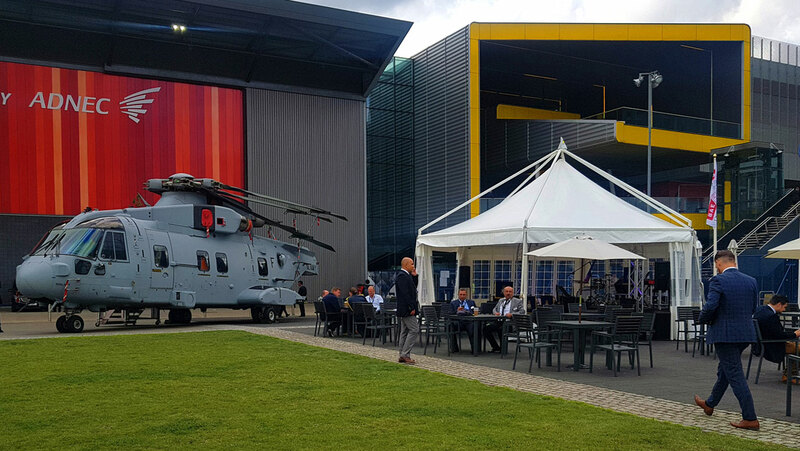 The event attracts thousands of visitors all over the world and collects military delegations, including: the Defense Ministers, the International Military Forces, the Armed Forces and the main operators in both the company and private sectors. 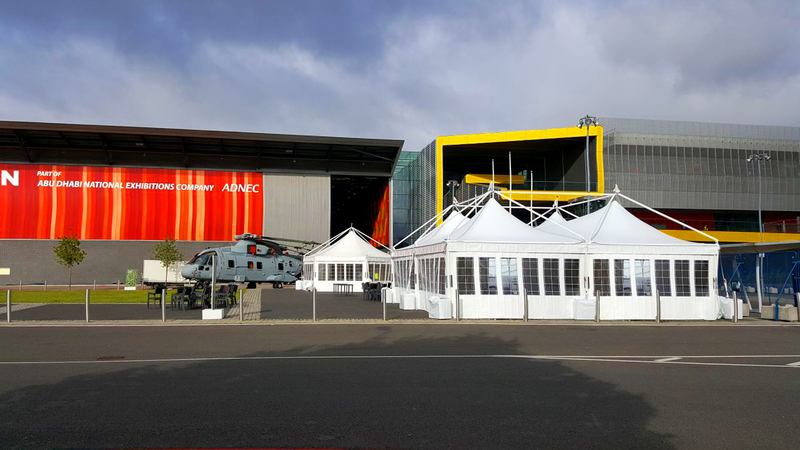 To welcome important guests including the Minister of Defense, a comfortable and elegant hospitality area was planned, consisting of modern and elegant aluminum marquees with dehor function, surrounded by helicopters. Once again the company Giulio Barbieri, manufacturer of outdoor modular covers, in collaboration with Marquee Magic London, has been named official supplier for the event.